Keep your eyes open for the August edition of Good Housekeeping Magazine. The Good News Bus and family will be featured in a full page article listed under the section "Good Housekeeping on the Edge" hitting store magazine racks July 19th 2016. Cory Stieg, Assistant Editor at Good Housekeeping Magazine contacted us (Shane and Julie Good) in May to ask if we would be interested in being featured in an article about our life on our bus. We of course jumped at the opportunity. A few days later we had an interview with Cory via Skype. Now, in just days, the article will appear nationwide on magazine racks. We are all excited to see it! If you happen to pick one up please send us a picture of yourself holding the magazine. We would like to put together a collage of people who purchased the magazine. 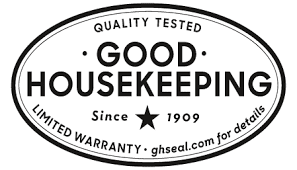 I guess we can say that the Good News Bus now has the Good Housekeeping Seal of Approval!